Before The Last Jedi Kelly appeared in a few TV movies and a handful of TV series episodes in Gortimer Gibbon’s Life on Normal Street, Adam Ruins Everything, and About a Boy. Kelly is set to appear in an episode of the TV series Sorry for Your Loss later this year. 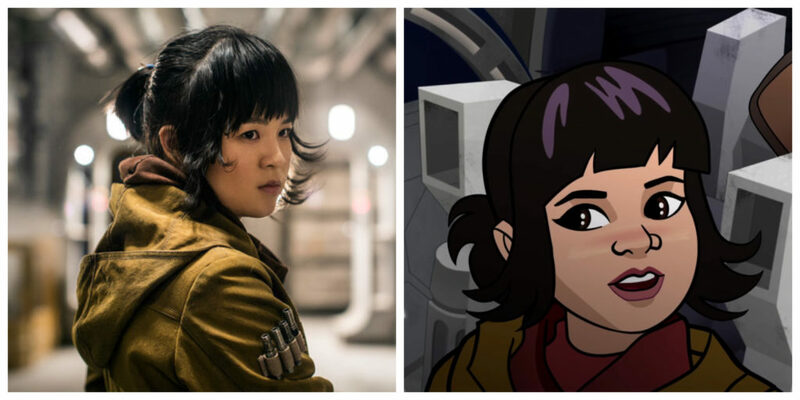 Here’s how Kelly Marie Tran became Rose Tico in The Last Jedi. And here’s Kelly at the premiere of The Last Jedi holding it together far better than I would have had I been in her shoes! And finally, here’s Kelly talking about how she kept her role as Rose a secret from her family and friends during filming. She also briefly talks about being an Asian actress in a Star Wars film and how it’s impossible to prepare for the fame that will result from being cast in a role like this.